Countless generations of children have been beguiled, prodded, and bribed by their parents to eat them, and for good reason. Edible plants, full of nutrients, vitamins, and fiber, are essential for good health. But there’s more to these foodstuffs than just basic nutrition (and fixings for a really great pizza). In 1900, the top three causes of death in the United States (31 percent of all deaths) were pneumonia/influenza, tuberculosis, and diarrhea/enteritis. Between 1900 and 1940, that statistic changed dramatically. Public health measures (sanitation), improved nutrition, and the development of antibiotics tremendously reduced the number of deaths from those diseases. The incidence of pneumonia and influenza, which caused nearly 12 percent of all deaths in 1900, declined significantly. Although they are still the sixth leading cause of death, by the mid-1990s, these two diseases accounted for only 3.6 percent of all deaths per year — a 70 percent reduction. Since the 1940s, most deaths in the United States have resulted from a completely different category of diseases — heart disease, cancer, and stroke — and at much higher percentages. In 1900, only about 20 percent of all deaths occurred from those three killers. By the late 1990s, that number had jumped to over 60 percent. When plants first evolved, there was little free oxygen in the atmosphere. As oxygen levels increased, a direct result of plant metabolism (plants take in carbon dioxide and give off oxygen), their environment became polluted. Over time, plants acquired new antioxidant compounds, which afforded them protection from molecules of highly reactive oxygen. These plants survived the oxygen pollution and slowly evolved into today’s oxygen tolerant plants. Biochemical defenses against bacteria, fungi, viruses, and damage to cell structures, especially DNA, also became part of the plant world’s arsenal. As animals species evolved, many were able to “borrow” some of the protective phytochemicals from the plants composing their diets, saving these species the trouble of having to manufacture all their own chemical defense mechanisms. This, of course, happened to the human animal as well. Since the 1970s, increasing numbers of studies are finding associations between the food people eat, their health, and their life expectancy. In the ’70s, concerns focused on the role of dietary cholesterol in causing heart disease and cancer. Although the importance of cholesterol in the human diet turned out to be relatively unimportant (high blood levels of cholesterol can be dangerous, but they are not caused by eating cholesterol.) it did help to shift the focus on health from treatment to prevention. During the 1980s and 1990s, numerous laboratories began studying phytochemicals to “mine” plants for bioactive substances that might be used as medicines (nutriceuticals) or for other chemical applications. Many compounds are showing great promise as disease fighters in the body, boosting production or activities of enzymes, which then act by blocking carcinogens, suppressing malignant cells, or interfering with the processes that can cause heart disease and stroke. 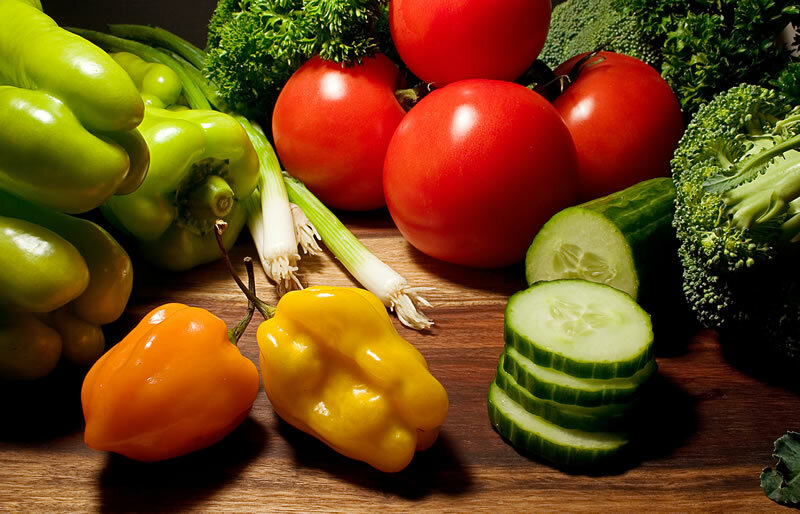 While many laboratories have been searching for and studying individual phytochemicals, other scientists have been conducting epidemiological studies (studies of diseases in populations) to see what effect different diets have on people. Significantly, they’ve been able to contrast and compare genetically similar people in different dietary environments; e.g. comparing the health of Japanese eating a traditional diet in Japan versus Japanese-Americans eating a conventional American diet. Hundreds of studies from around the world have established that diets high in plant-based foods are associated with lower rates of cancer and heart disease, sometimes astonishingly so. One analysis of data from 23 epidemiological studies showed that a diet rich in whole grains and vegetables reduced the risk of colon cancer by 40 percent. Another study demonstrated that women who don’t eat many fruits and vegetables have a 25 percent higher risk of developing breast cancer. Phytochemical use comes with a caution sign, however. These compounds aren’t always beneficial under all circumstances or in high doses. Certain biochemicals and vitamins, at least as provided in supplements, have been found to encourage the growth of cancer cells and their use is being discouraged in patients undergoing cancer treatments. And, although it has many benefits in other circumstances, high doses of beta-carotene supplements are associated with an increased risk of lung cancer in male smokers. As they occur naturally in plant foods, phytochemicals promise to create an entirely new philosophy of “functional foods,” eating not just to sustain minimal basic health but also eating to prevent disease. In the future, we may tailor our diets to include the foods that will best address our personal health problems and risks as well as maintain optimal health.